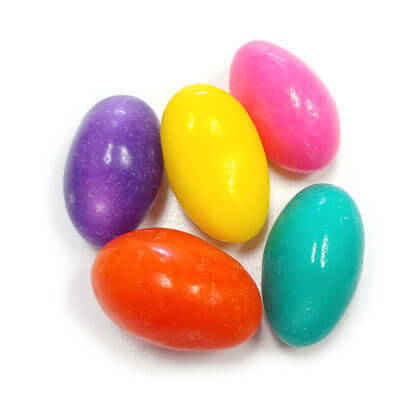 Candy coated marshmallow eggs in bright fun colors. Approx. 1 inch long and 4.5 per oz. Made in Canada. 8 ounce bag. These were, hands down, my favorite Easter candy. Yes, it’s only spun sugar, but Brach’s has spun it in a magnificent way! You rather love or hate them, and I’m definitely a lover!! !